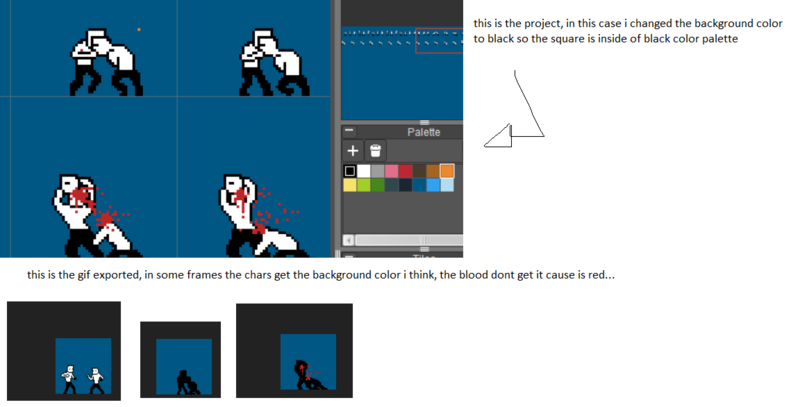 Hi guys, i have a problem when export an animation to .gif that the white colors goes to black in some frames. i think is something about background color but i dont understand it well... there is a square in the white color palette that maybe have some kind of relation. i hope someone can help me cause im newbi on this and im going crazy. the version is v.0.4.8 the last. sorry for my english and thank you!